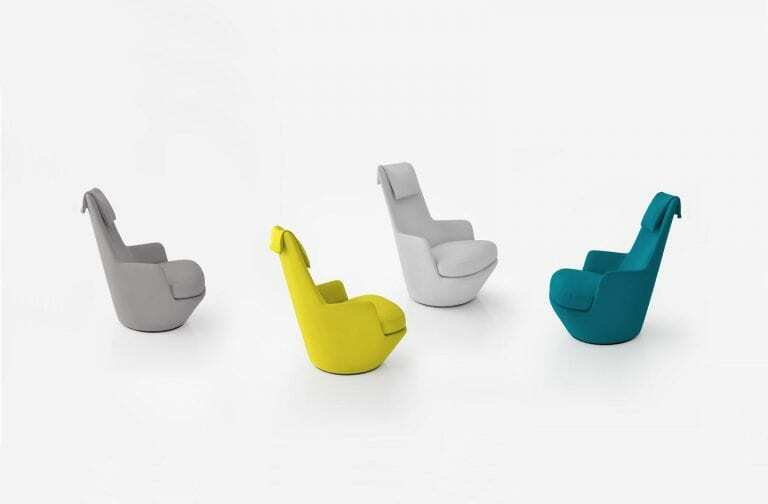 Swivel chairs are timeless classics that can transform any room into a multifunctional space. Once common features by the fireplace, they have transformed into ultra modern pieces with distinctive visual elements that appeal to the eclectically inclined. 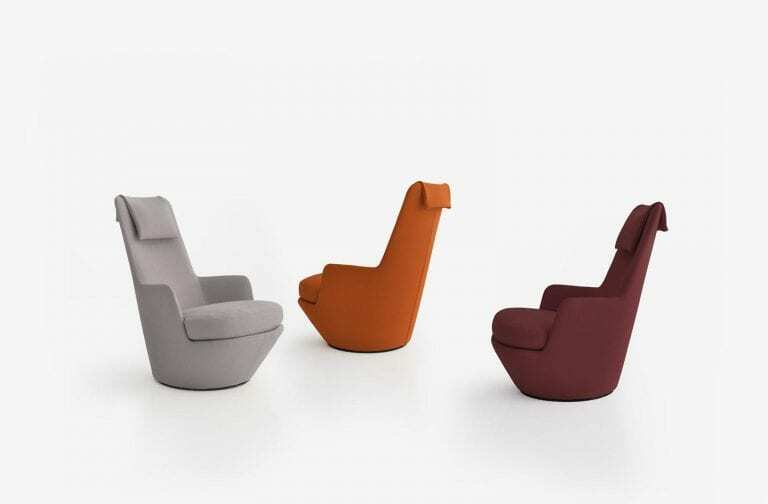 The Hi Turn Armchair by Bensen is a contemporary embodiment of the unrivaled plush, comfortable, and functional traditional swivel seat. Designed with compactness and luxury in mind, it bears a striking resemblance to an upright smoking pipe. Inspired by the classic U Turn lounge and club chair, the Hi Turn Armchair by Bensen is set on a steel frame that offers a discernibly durable and sturdy construct. Its steel frame construction results from an eminent aspiration for comfort and is injected with molded cold foam and finished off with a masterfully tailored appearance. Its down seat occupies only a small footprint and offers stability without compromising the stylistic aspirations of the chair. The covering upholstery is removable for cleaning and is conveniently attached by Velcro. Designed with a carefully hidden circular metal base, Hi Turn smoothly glides on a 3600 plane breaking free from any confines and blending effortlessly into open-plan living spaces. 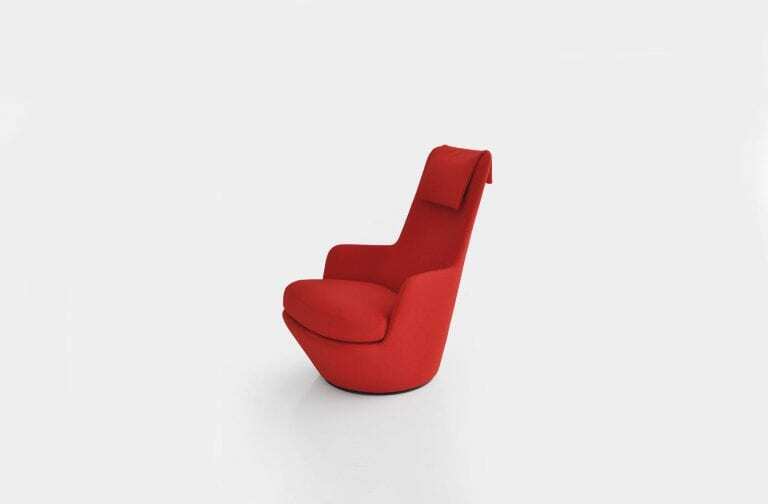 The armchair espouses the ideals of comfort with its softly reclined high back which features a supple overlaid headrest for enhanced relaxation. With a wide array of colors to choose from, it will add an appealing dash of contrast to any living area. Which color would vibrantly transform your living space—bright yellow, warm neutral shades, deep blue, or cool burgundy?